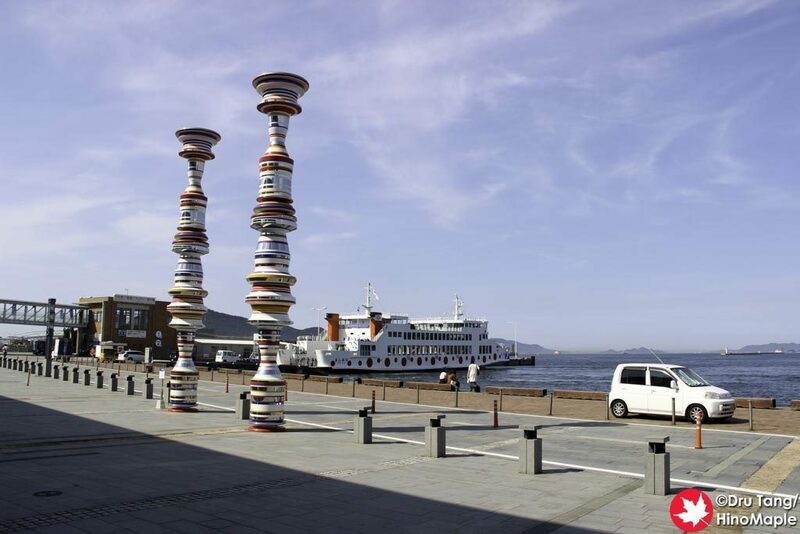 Naoshima is the most famous island of the Setouchi Triennale. It can be considered the birthplace of the Triennale. The island is often called an “art island” because most of the community has artwork. There are 3 main districts on the island: Miyanoura, Honmura, and the Benesse House area. Miyanoura is the traditional main port with a few public artworks and an artistic sento, a public bath house. Honmura is famous for the Art House Project as well as the new Naoshima Hall. Most people will want to visit the Benesse House area with the famed Chichu Art Museum as well as the Benesse House hotels. Note: Most museums on Naoshima are closed on Mondays. If Monday is a national holiday, the following Tuesday will be closed. 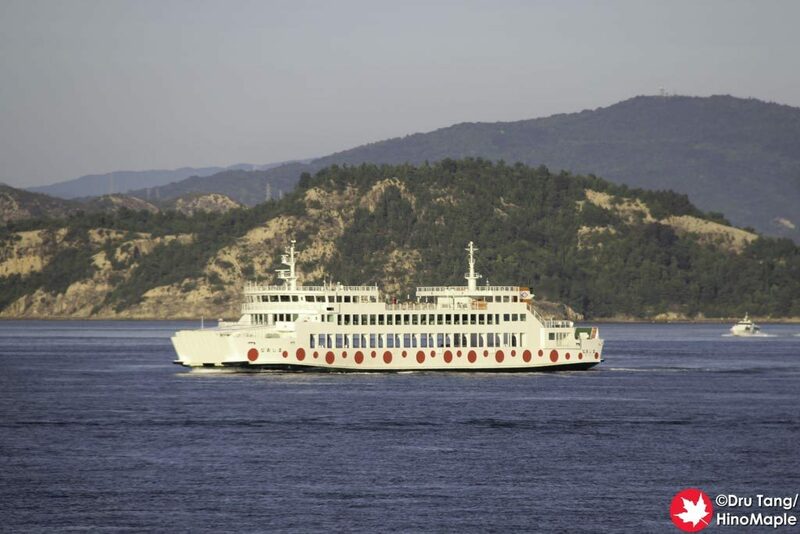 From Takamatsu, the most popular route to Naoshima is the regular ferry to Miyanoura. There is also a fast ferry to Miyanoura, but be aware that the ticket booths and boarding areas are at different areas of the port. There is also a fast ferry from Takamatsu to Naoshima’s Honmura port, but services are very limited. From Uno, you can take a regular ferry or a fast ferry to Miyanoura and a fast ferry to Honomura. It is more cost effective to take the fast ferry as the costs are the same. 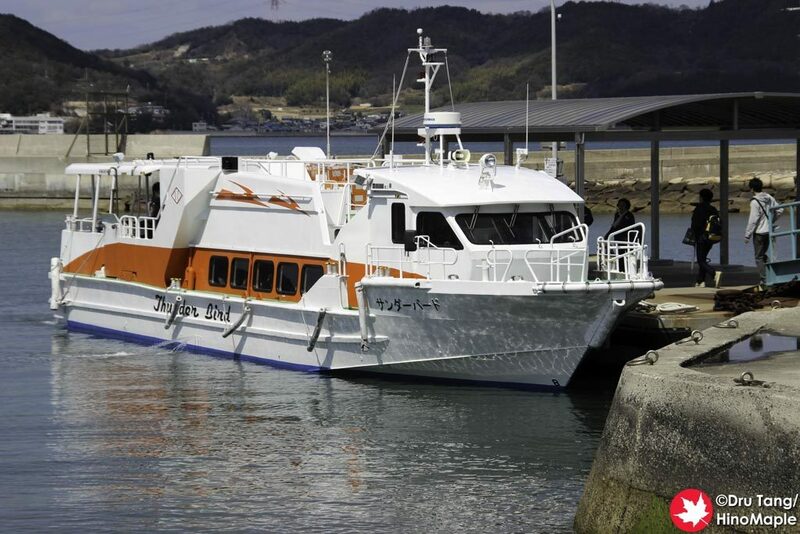 From Teshima, there is a fast ferry from Ieura to Naoshima’s Miyanoura port. This ferry sails from Miyanoura to Inujima making a short stop in Teshima’s Ieura. Many sailings require a numbered ticket. It is recommended to arrive at Ieura 30 minutes before any sailing during the Triennale. There was also a limited service from Naoshima’s Honmura to Ieura, but this has been cancelled after the Triennale ended. Inujima has 3 sailings a day to Miyanoura. The ferry is small and requires a numbered ticket to board. It is advisable to get a return ticket once you arrive in Inujima. From Shodoshima, there were limited services to Naoshima during the Setouchi Triennale (2016). There were 2 fast ferry sailings in each direction each day between Miyanoura and Tonosho on Shodoshima. There are several ferries throughout the day to Naoshima. Most ferries start around 6:00 and the last ferries depart around 19:00. When heading to Naoshima via fast ferry, it is advisable to be at the port at least 30 minutes in advance. Tickets sell fast, especially on Tuesdays, weekends, and holidays. When returning on the last fast ferry sailing, it is highly advised to be at the port at least 30 minutes in advance. Regular ferries to Uno and Takamatsu usually have ample space. Ferries to Uno stop at midnight. Be aware that this information is during a Triennale year and subject to change outside the festival. Bicycles are one of the best ways to get around the island. There are a few shops near Miyanoura’s port and a couple in Honmura where you can rent a bicycle. An electric bicycle is a lot better if you plan to circumnavigate the island. The Benesse House museum area is located at the top of a hill and most cyclists cannot manage cycling all the way up and often push their bicycles to the top. Otherwise it is pretty easy to cycle around Naoshima. Do note that bicycles often sell out on weekends and in the Benesse House area, bicycles are sometimes prohibited from entering. Scooters are also available but are more limited. Parking scooters on Naoshima is not as easy as a bicycle and you will not be allowed into the Benesse House area as it is private property. Only guests are allowed onto the property. Buses are a good way to get around Naoshima. The buses that depart after the ferries arrive are often full so it is advisable to rush, but not run, to the buses. Buses start in Miyanoura and head to the Benesse House area via Honmura. From the last stop, there is a free Benesse House shuttle that takes you the rest of the way to the Chichu Museum. During the festival, on weekends and holidays, there is a second bus that runs from Miyanoura directly to the Chichu Museum before continuing to the beach area of the Benesse House area, Honmura, and finally returning to Miyanoura. Walking is a very viable option and highly recommended if you have a full day to enjoy the artwork. Walking from Miyanoura to the Chichu Museum is not very far but be aware that it can take approximately 30-60 minutes. If you are not in shape, a combination of walking and buses are your best option but walking from town to town can be a very enjoyable experience. Walking in a clockwise direction is much easier than a counter clockwise direction. Most of the art is around the Benesse House area. It can be difficult to walk from the beach to the Chichu Museum. It is advised that you take the bus directly to the Chichu Museum when you arrive as the museum is located on the highest point of any tour of the island. You can then walk to the other major museums in the area as well and the newer artworks around the pond before heading to the beach area. 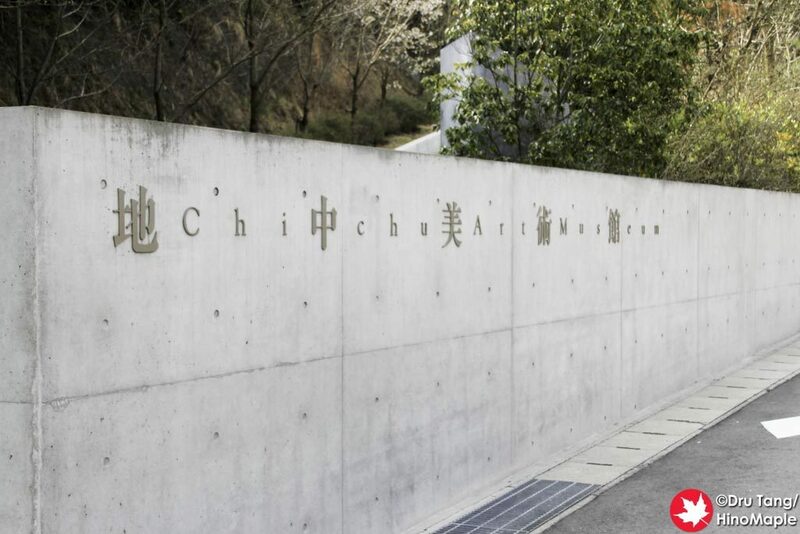 Note that the Chichu Museum has an online reservation system, so you must purchase your tickets in advance. The other 2 main areas for art are Honmura and Miyanoura. Honmura is a short bus ride from the Benesse House beach area, or you can walk there. 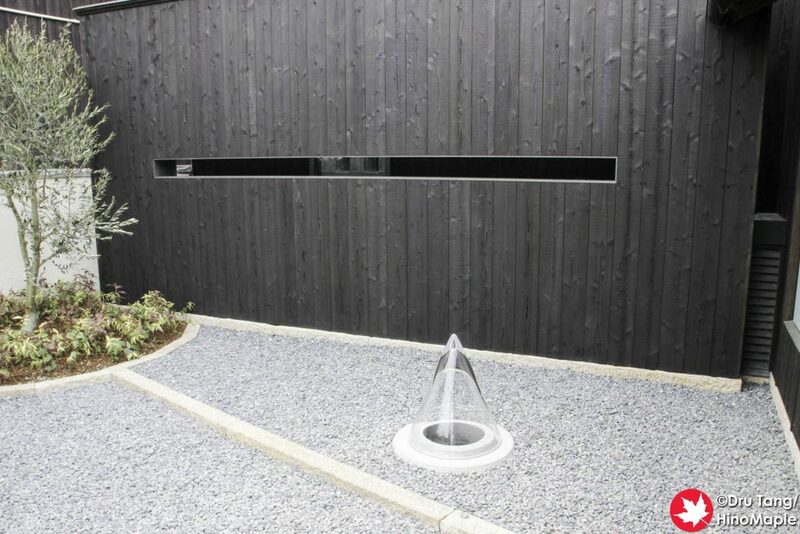 Honmura is well known for its Art House Project, a group of 7 houses that were restored into art houses. There is also the Ando Museum as well as the Naoshima Hall. 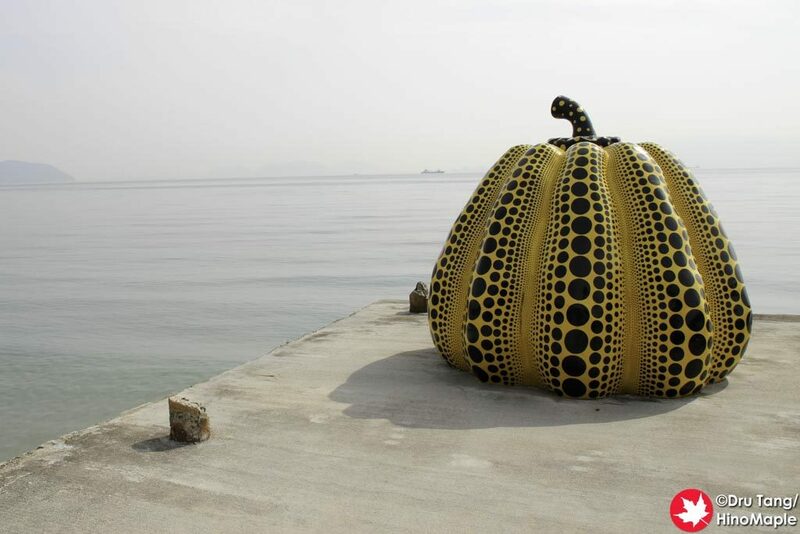 Miyanoura has several public artworks available year round and one exhibit that changes for each season of the Setouchi Triennale. You can see all of the artwork within 6-8 hours. For art lovers, you may require 2 full days to completely enjoy all of the art. Some of the artwork changes as they are lit up. If you are staying in Okayama, this will not be a problem, but if you are staying in Takamatsu, this may be a problem as the last ferry departs around sunset. There are several options for eating on Naoshima. The Chichu Museum and Benesse House Museum both have popular cafes for visitors. Honmura has several small cafes and restaurants as does Miyanoura. Most shops tend to be modernized places in older buildings. Be aware that after 14:00, it may be difficult to find a meal on Naoshima until dinner time. 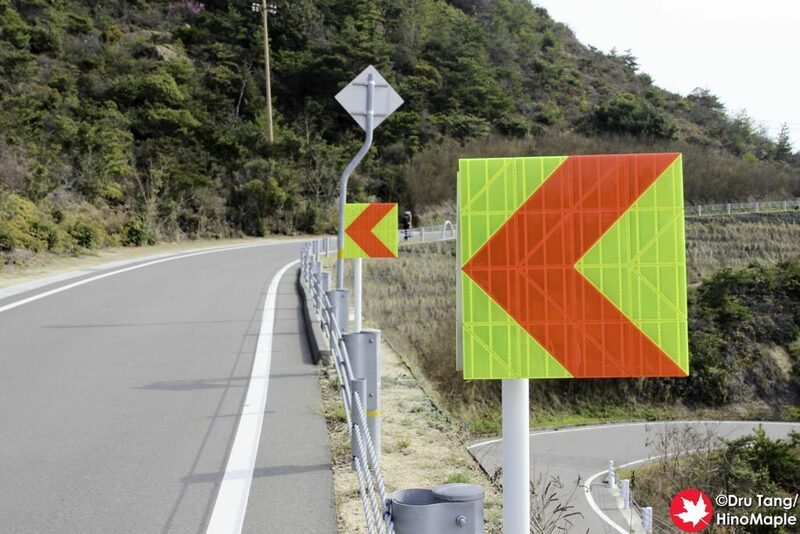 This entry was posted in Setouchi Triennale, Shikoku and tagged art, Benesse, Benesse House, Guide, honmura, japan, Kagawa, miyanoura, Naoshima, Takamatsu by Dru. Bookmark the permalink.